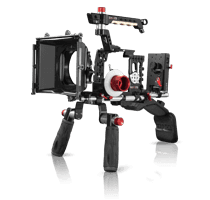 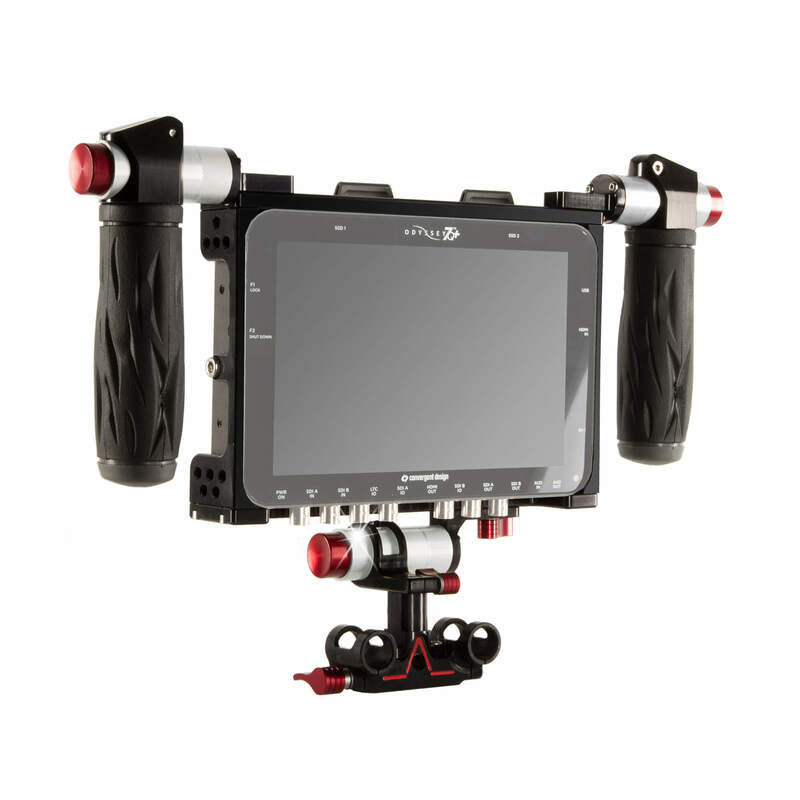 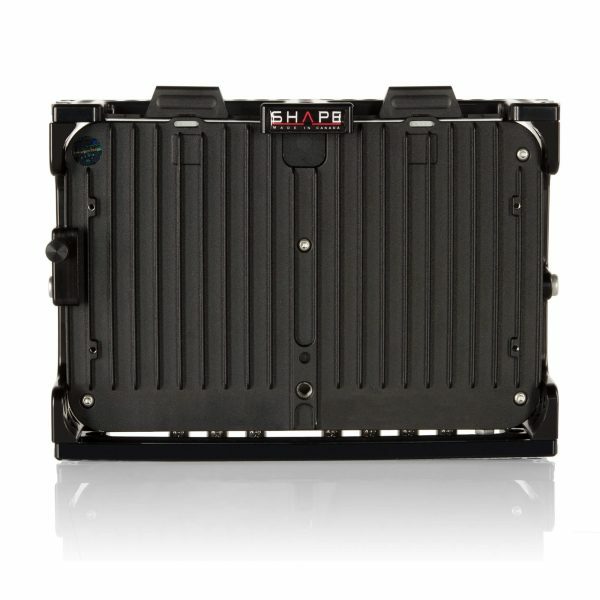 The Odyssey 7Q+ Bundle Kit from SHAPE features a formfitting cage for the Convergent Design Odyssey 7Q+ monitor, plus push-button adjustable handgrips and a tiltable 15 mm monitor bracket for attaching the 7Q+ to your camera rig. 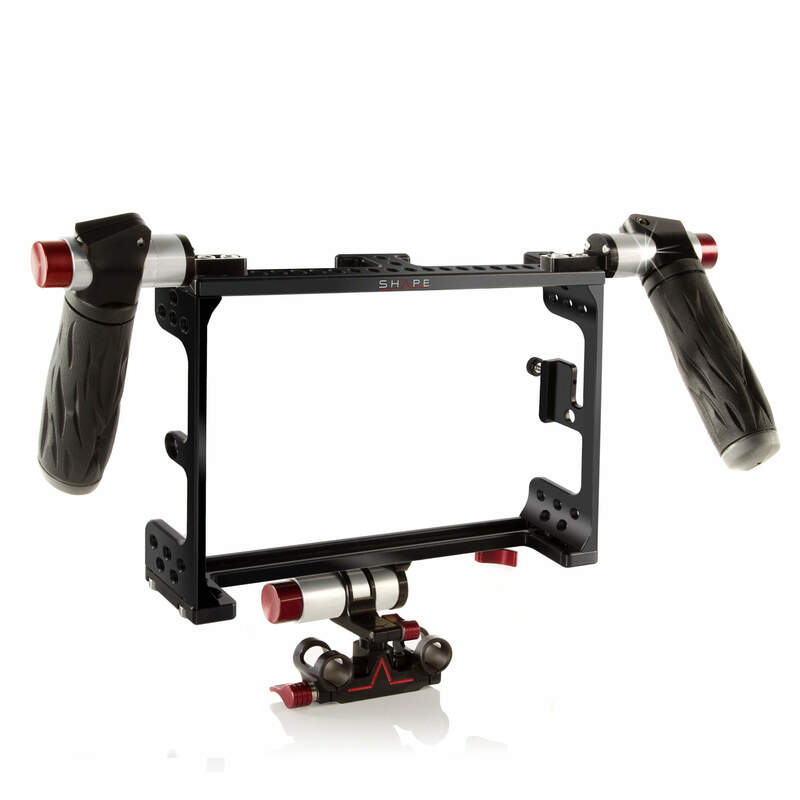 The handgrips attach on top and provide many uses, including handing the Shogun off to a director or someone else who wants to monitor the shot.  They can be set to be used right-side-up or upside-down. The monitor bracket attaches to 15 mm LWS rods and lets you tilt, rotate, and slide the 7Q+ sideways. Most of the bracket’s adjustments are also push-button adjustable. 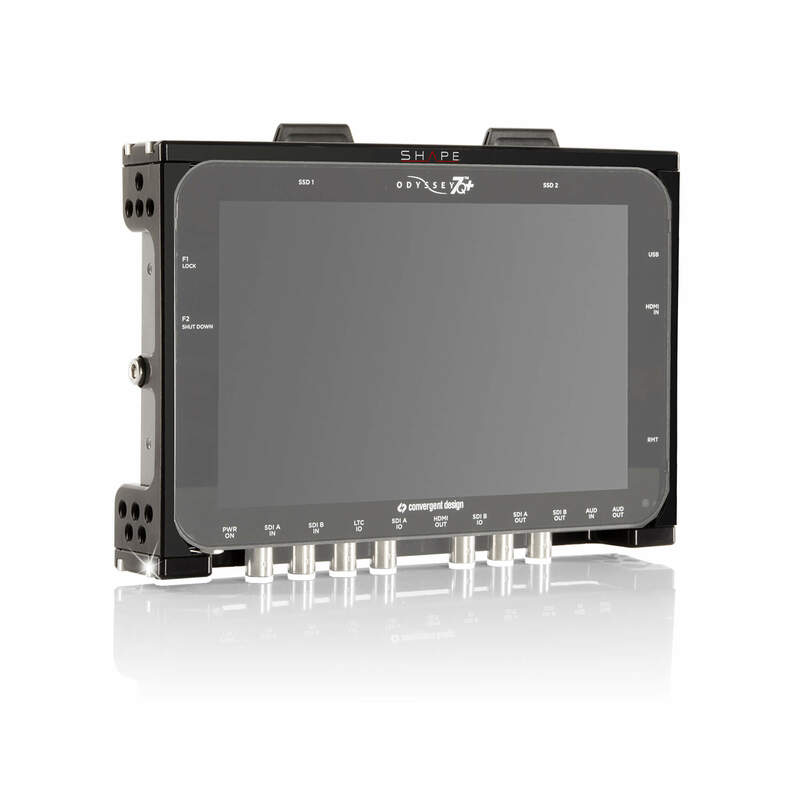 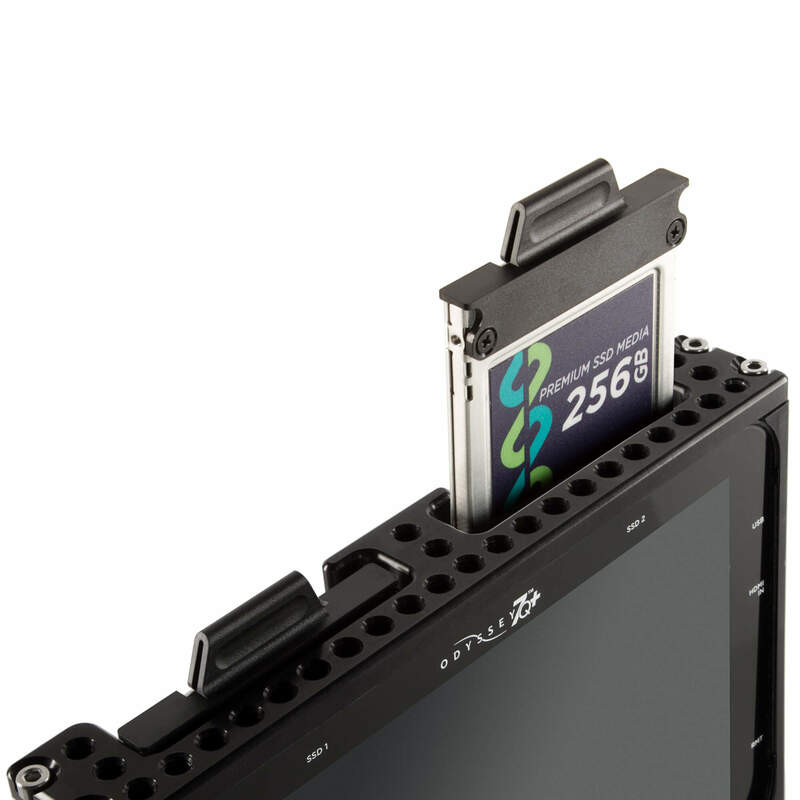 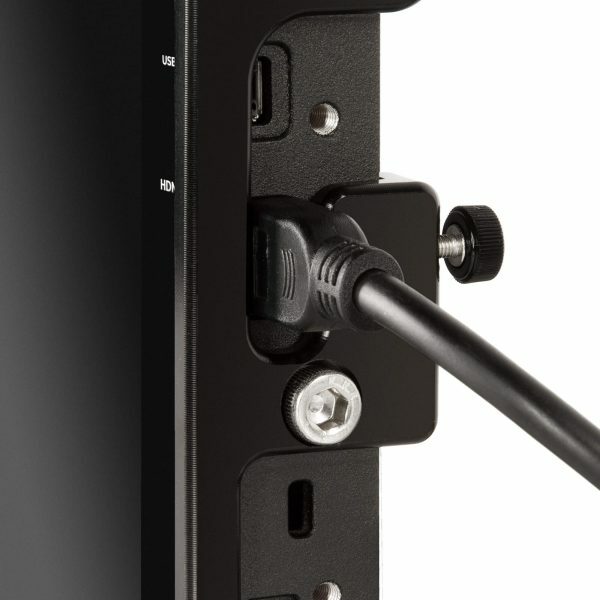 The cage leaves access to all slots, ports, and controls of the 7Q+, and has screw-in HDMI clamps designed specifically for SHAPE HDMI cables that have a recess on the connectors that the screws can push up against. 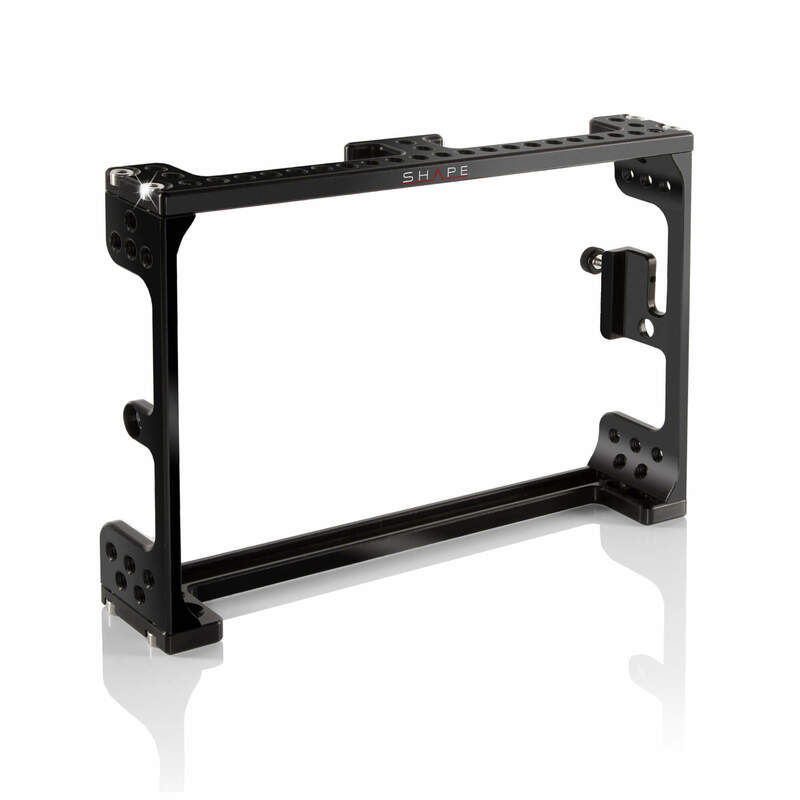 Both 1/4″-20 and 3/8″-16 threaded holes are provided throughout the cage for accessories.